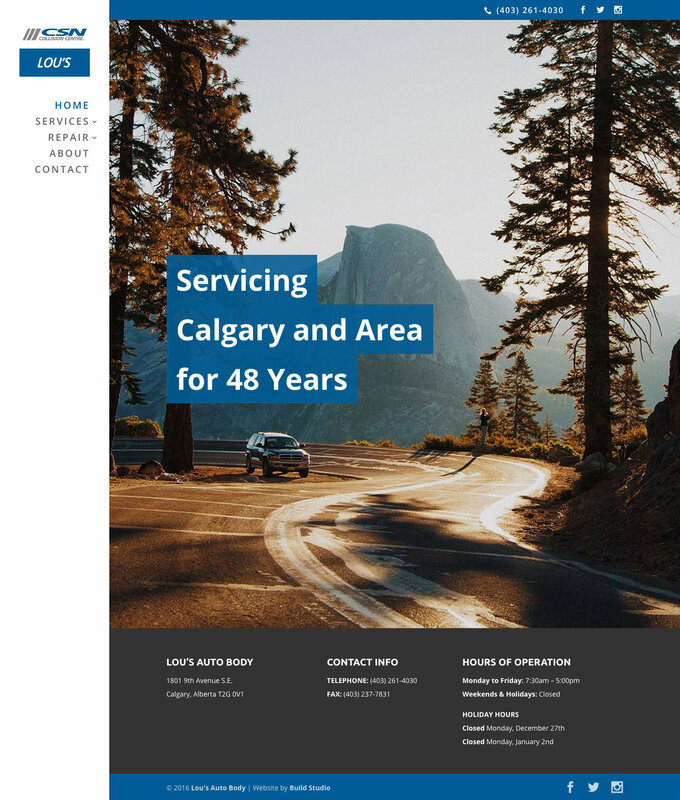 Lou’s Autobody has been serving Calgary for nearly 50 years. They hadn’t updated there site in years and were looking to refresh their image. We moved their site to WordPress and redesign the site completely. Moving away from the high performance/sports car feel of their old site, the new one is more inviting to customers with all styles of vehicles. Staff are able to update the content of the site easily and expand on their service offerings as necessary.